Here, homelessness is not a destination, but a passage. 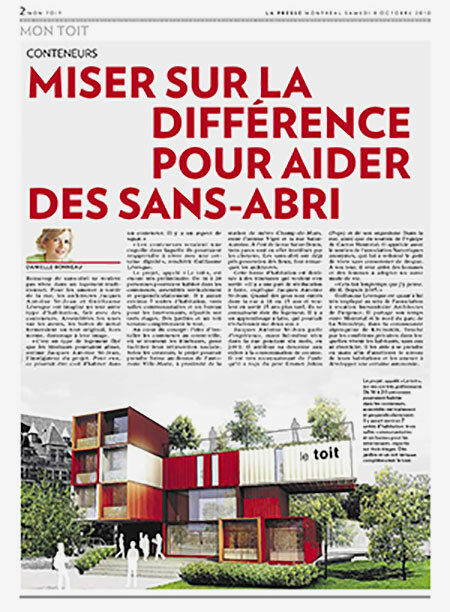 This project is a stop for the urban travelers which will help them to live out of the street. The container is the symbol of the journey, the passage from one stage to another. 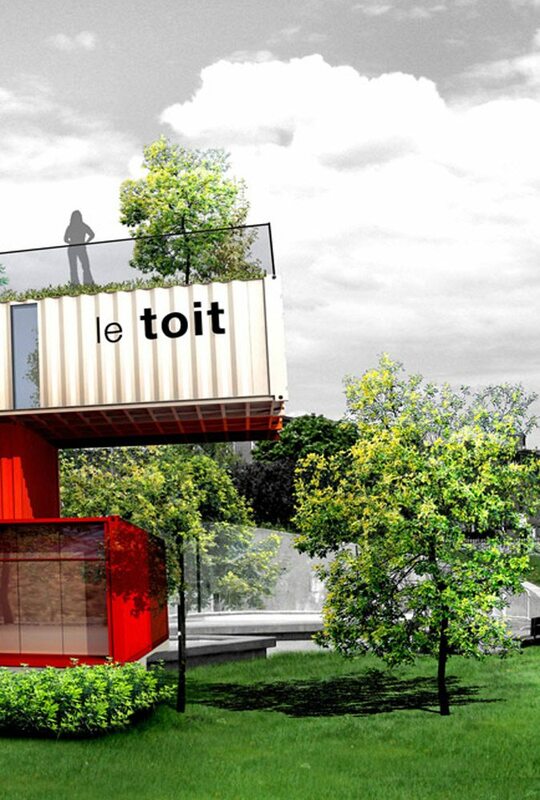 The project is located on the edge of Old Montreal and the Ville-Marie borough. 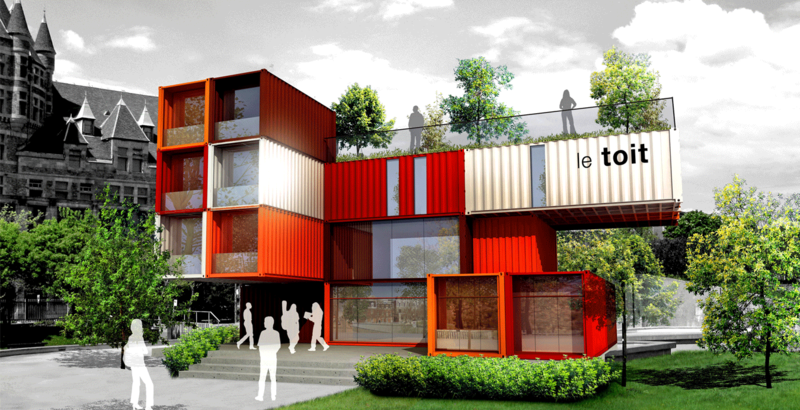 It is located east of the St. Denis Street, between Viger Avenue and St-Antoine Street. 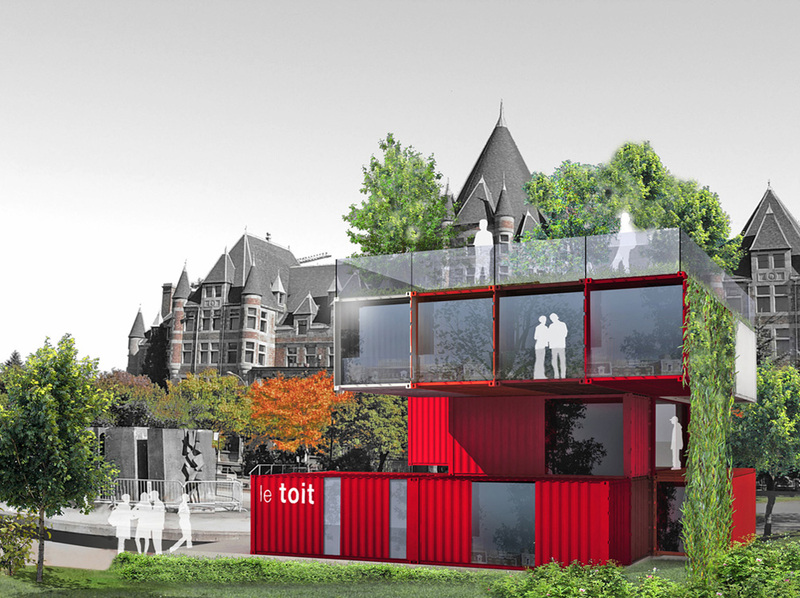 The site is located just above Ville-Marie tunnel highway, near underground metro station Champ de Mars and the Old Port of Montreal. Several community organizations are also nearby. The site covers three parks representing a relatively large area of land, and unused by the public. Currently, it is the downtown homeless people who appropriate the places. The location and the current use of the site have therefore been a source of inspiration for the project.